In some cases there is a possibility for brain surgery to relieve the symptoms in some cases of the disease when drugs fail to be effective methods of treatment. Surgery is not a cure, and often drugs are still required after surgery, but most likely in smaller doses which will also reduce the heavy side effects which may afflict some patients. Surgery is not an option for many patients as they may also have additional issues such as heart or lung disease, kidney failure and cancer. If a patient suffers from multiple illnesses they are not usually considered for surgery, just as if the patient suffers dementia or other psychiatric disorders they are most likely not considered for such a treatment. 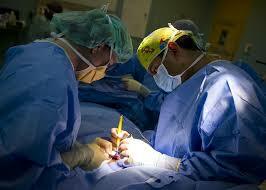 There are in general 3 different choices when it comes to surgery. Firstly something called deep brain stimulation, which makes use of electric signals to stimulate the target area in the brain of the patient. This would be the most common to use for more advanced Parkinson’s disease. Secondly and thirdly there is Pallidotomy and Thalamotomy, which involves destruction of a small area in the brain which is the cause for the symptoms. What is also worth a mention is Neurotransplantation, which is currently an experimental procedure being developed and studied to use as a treatment for Parkinson’s disease patients. Rather than the destruction of a part of the brain, here instead implantation of cells that produce dopamine is involved. This method is still in testing stages, and the rates of its success is still widely unknown. This type of procedure is currently only conducted with test groups and is not something currently available to the general public.